Saint Petersburg - UNESCO World Heritage Site: Trans siberian travel. You won't regret it if you start your journey from St. Petersburg, known in the past as Leningrad. Russia's second largest city was founded by Peter the Great as the country's "window on the West", and was built by European architects with baroque pomp and elegance, to become one of Europe's most beautiful and enchanting. Nowadays it is recognized as a major European cultural centre and an important port for Russia on the Baltic Sea. The historic center of St. Petersburg is a UNESCO World Heritage Site – impressive and majestic, boasting a network of canals and bridges, the latter being the reason to fame the city as The Venice of the North. The highlights list include loads of buildings that still keep alive the glorious past of the city – Menshikov Palace, the Winter Palace housing the Hermitage Museum, Stroganov Palace, Vorontsov Palace, Anichkov Palace, St. Michael's Castle, the Marble palace, Moyka Palace, St. Isaac's Cathedral, Kazan Cathedral, Peter and Paul Cathedral, the Navy Museum, and many others. St. Petersburg offers a diversity of cultural experiences: over 50 museums and art galleries, opera performances and the Kirov Ballet, classical music and some of Russia's top rock bands. We can book tickets for the Imperial Mariinsky Theatre and the Philharmonic Orchestra. 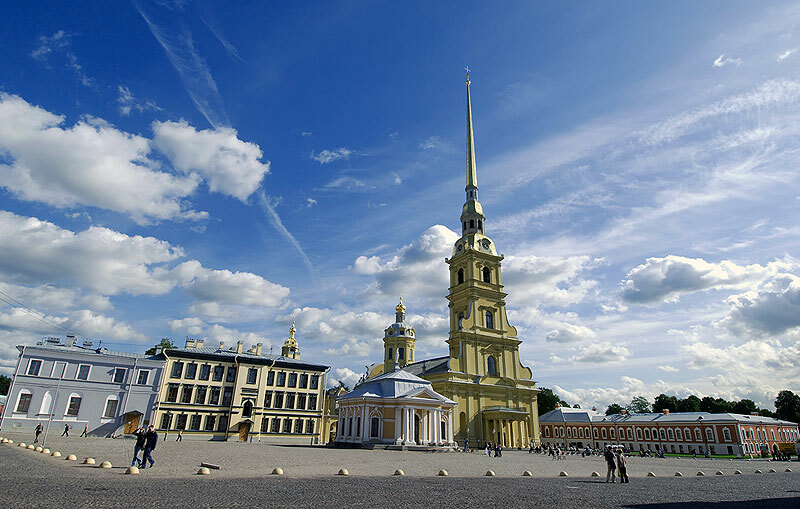 If you have more than a couple of days to spare, we should suggest that you take a day-trip to some of the magnificent old imperial palaces in Petergof, Pavlovsk or Pushkin (Tsar's Village). There are daily and overnight trains from St Petersburg to Moscow where the Trans-Siberian Railway begins.